You must make reservations at least 5 minutes in advance of the time at Jerico's. 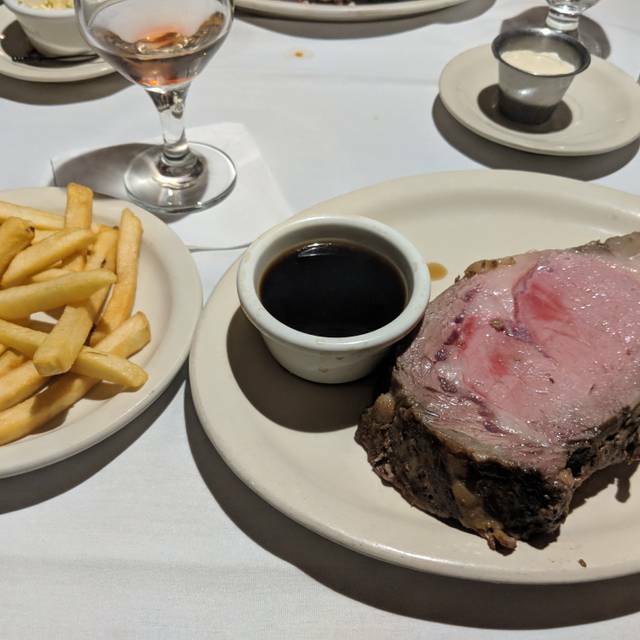 Those looking for a traditional, Omaha steakhouse, with what is consistently voted as the city's finest prime rib, should look no further than Jerico's. Whether you’re looking to have a quiet dinner with friends, or you’re planning a large-group gathering, we’ll take you back in time — and raise your expectations for what a real steakhouse experience should be. So sit back, relax and let us serve you. Prime rid was not my favorite. It lacked in flavor. The juice was very bland. I had to add salt and pepper for some flavor. Blackened porterhouse is delicious. That's what I will be getting next time. Great place to go for dinner! Our server was outstanding! We will definitely go back again. Went here for a family celebration. Our waitress was new but super kind and accommodating! The food was good but nothing special in presentation. It’s an old School steakhouse so that’s what you are going to get, but...quality food and service :) Loved it! This was our second visit in two weeks! Everything was great! Food was very good, and I believe our server was Bobbie and she was terrific!! It was my wife's birthday and the complimentary dessert was wonderful!! She picked the strawberry cheesecake and will likely order again!Very pleasant experience, and will definitely return!! We are passing through Omaha on the way to Colorado and wanted a regular Omaha steak house (nothing too fancy). This was perfect! It's in a little strip mall next to the highway, has a lovely vintage 70s feel, and everything we ate was delicious. I had the filet, the hubs had prime rib, one of the kids had quail. Recommended! Very good prime rib as always. Side dishes and drinks perfect as well. Well done! Absolutely terrific food & service each time we dine here. Never had a bad meal. I love this place! Service and the food was very good. We were not rushed and could not have enjoyed the dining experience better. Not to mention the reasonable prices. Food was delicious, and our server was really on top of it. We enjoyed our evening at Jerico’s. We requested a quite table online and they sat us in peaceful corner where we could have good conversation. The food was excellent and the server was delightful. We plan to make it a frequent stop in our future. Sunday early bird special (4:30) - had the Prime Rib with Prime Rib Chili, Salad, Bread, Baked Potato, and Coffee. All included in the meal. Prime rib was the best I ever had. We keep returning to Jerico's because the service from Bobbi, Michelle, and Helen is superior. The prime is super, and I love the top sirloin. Best coconut creme pie in town. This is a regular stop for us. We have been going here since we moved to Omaha. It reminds us of an 'old school' type restaurant. We love the prime rib, service and low noise levels. Prim rib was great...I had quite ordering Prim rib because most places it’s not good I will definitely get it again at Jerico’s. The best dining experience I have had in a while. 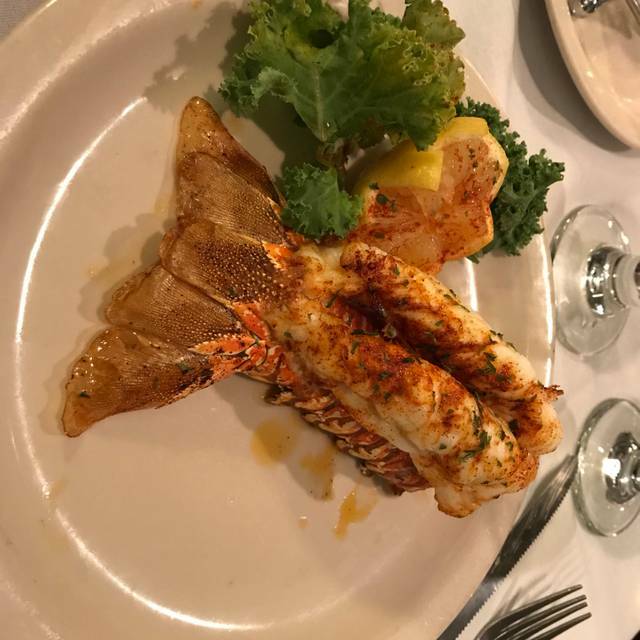 For all of the recommendations that I received about Jerico's I thought that it was over priced for the value of the food. Jericho’s never disappoints!! Food is always good. It’s a little pricey but always very good. I will be back. Service was great and the food was delicious! It looked like the outside of a trashy bar. The employees were all very rude. Our waitress had no communication skills and barely checked in on us. The prime rib was completely average at best. I would recommend going to Texas Roadhouse over this dump any day. Roadhouse has better and cheaper food with better employees. The food is definitely not worth the price. The prime rib was not good, the au jus was luke warm, and the beer cheese soup didn’t taste like cheese or beer - wondering what was in it at all! Basically, it was a huge disappointment. Everything about our Valentine's Day dinner was terrific from the immediate seating to the final bite of prime rib. A small issue related to timing of the courses was the only misstep. Had not been to Jerico's recently but will definitely return soon. Bad service. The restaurant was dirty near us, a random to go box sitting on the floor. Server was rude. Food was sub par. Came because of the dark romantic, but sat in a room that wasn't even finished on the floor boards. Couldn't get water refilled and steak over cooked. We needed some place that would take for Valentine's Day night and thought we'd give a new place a try. Got seated promptly and the waitress (Danielle) was one of those that you'd wish would be at every restaurant you went to. 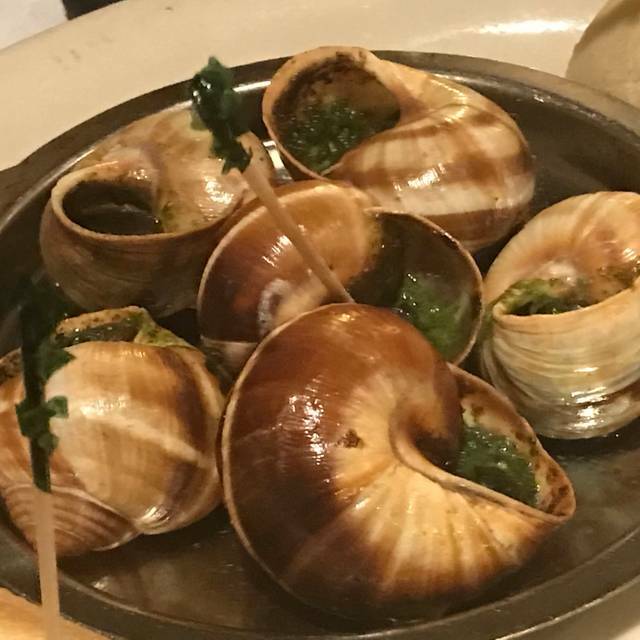 The food arrived in good time and I'm told the escargot was delicious. We ordered the prime rib and a rib eye because those are a good judge of how a restaurant does. We've had worse around town and it's not like the entrees were bad... they were just... meh. Not quite bad enough to want steak sauce right away (that's the sign of a bad steak) but definitely needed it for the leftovers. Jerico's wasn't bad, but it wasn't anything that we'd go out of our way to go back to. If you do go use/get Pinpoint to take advantage of a first timer's special. And count yourself lucky if Danielle is waiting on your table. Surprisingly everything was good but the meat. I was there in Valentine's Day and my guess is I was served day old prime rib. I saw plates with better prime rib when I left. Mine was dry. My husband's ribeye was average. Great pie, drinks and sides. Just Ok, service was good until it was time to get the bill, took another 30 minutes. We enjoyed our meal very much, the prime rib was excellent. the mistake with our food might not have been her fault. I want to go back and try it again. Traditional Omaha steakhouse with great food and great service. Baked potato is always hot, steak cooked as requested and Wisconsin Beer Cheese soup very good. Wife’s Birthday was a great celebration. Good food. Service pretty good, but did have to wait a bit for box, check, etc. Would've liked water refill. This is one of my wife and my favorite places for a special occasion dinner. The service is always outstanding. It is quiet and pleasant. The food options are excellent, as is the choice of wines and drinks. Steaks/prime rib are their specialties, but pork chops and shrimp are good choices. They have an "early bird" menu. Clam chowders and steak chili are excellent. Steak wasn't anything special, but was priced ok. Dessert was key lime pie and banna cream pie. They were both delicious. Price overall wasn't bad and the drinks were way cheaper than expected but still were very good. Great food! Great service!! Great drinks! Great desserts!!! Jericho’s early bird special is an excellent choice if you want good and plentiful food and a comfortable, relaxed atmosphere. It’s been our go/to place for decades. Suzanna is a big part of what makes it special for us. 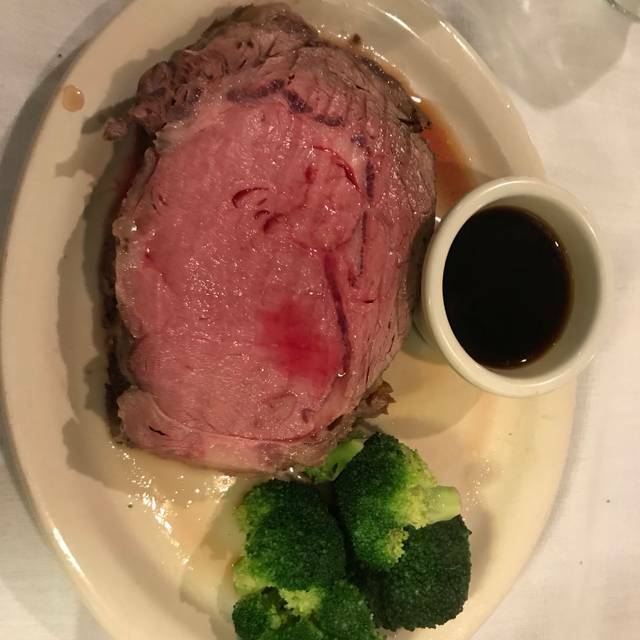 She knows us and accommodates our special preferences for the executive prime rib—she’s friendly but not pushy and makes our experience so enjoyable.